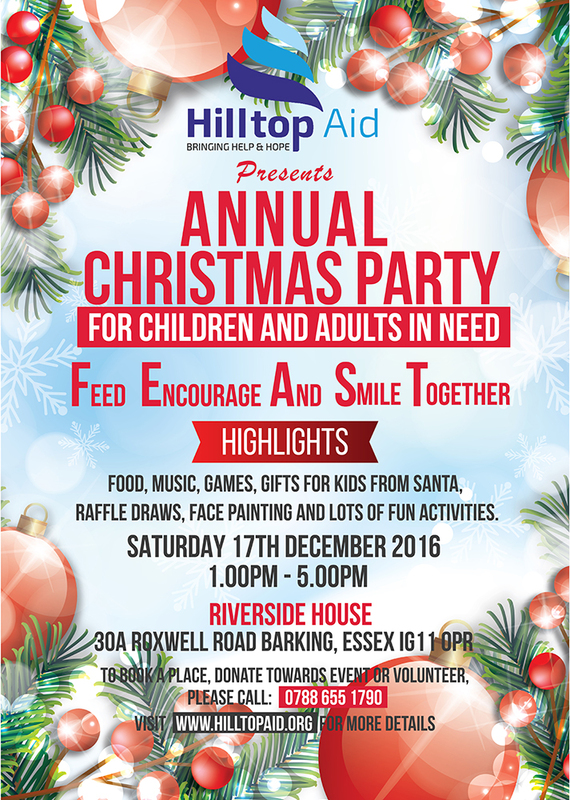 HillTop Aid is a registered charity that operates within England and Wales. Its mission is to promote independence and social integration for homeless and vulnerable people through advice, advocacy leading to appropriate accommodation, education and employment. Hilltop Aid’s main goal is to ensure that vulnerable people; especially homeless people within the areas of its operation have access to both physical and emotional support needed to meet their immediate needs and also to achieve their long term needs. Hilltop Aid supports vulnerable people faced with homelessness. These vulnerable people are: people with disabilities, people just coming out of prisons, unemployed people faced with eviction, people with substance misuse issues, women facing domestic violence, teenage parents, elderly people, people who are facing one difficulty or the other . Hilltop Aid volunteers organise various sessions to meet with the benefactors in order to assess their circumstances, identify their needs and subsequently agree an action plan to achieve both their immediate and long term needs. This session takes place every Friday between 10am-3pm at different locations within London (please give us a call/send an e-mail to [email protected] with your details to find out the nearest location to you). Light meals e.g. tea, coffee, biscuits are served at these sessions. During sessions, charity workers engage in a one -to –one, friendly and confidential chats with service users in order to build a relationship and also to gain their trust. Hilltop Aid volunteers/workers regularly visit locations where there are likely to be rough sleepers. On meeting rough sleepers, Hilltop Aid is introduced to them by handing out leaflets and directing them to use a local bath/shower facilities for free, breakfast are offered to them, blankets are offered to them, appointment is scheduled with them to assess their circumstances in order to identify suitable action plan to meet their long term needs. Hilltop Aid partners with organisations like homelessness departments of local government authorities, Jobcentre plus, drug and alcohol support agencies, rehabilitation/ residential homes and other organisations to support vulnerable and homeless people in regaining their independence. Its mission is to promote independence and social integration for homeless and vulnerable people through advice, advocacy leading to appropriate accommodation, education and employment. HILLTOP Aid is a registered charity that operates within England and Wales. Do you know anyone who could benefit from this session? Why don’t you ask them to contact us for more information!